The Imago Dei, Part 1: Who is created in the image of God? 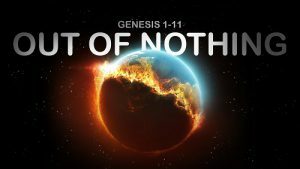 On February 4th pastor Sean Wegener continued the sermon series Out of Nothing. The Imago Dei (Genesis 1:24-31) part one covers the question “who is created in the image of God?” The sermon begins with an apology from pastor Sean for the more polemical nature of this sermon. The Imago Dei part one reveals the problems the 20th century caused in the issue of orthodoxy. Pastor Sean teaches that orthodoxy (the right way of thinking) requires believing every man, woman, and child is created entirely in the image of God. The 20th century sought to edit the Imago Dei in three areas: abortion, race, and euthanasia. Pastor Sean uses Genesis 1:27 to tackle these issues. By having the right belief (orthodoxy) concerning these issues, we can then ask how are we to act (orthopraxy). Pastor Sean argues that once Christian’s believe the image of God extends to everyone then we can understand the 21st century issues of abortion, race, and euthanasia can be answered properly.